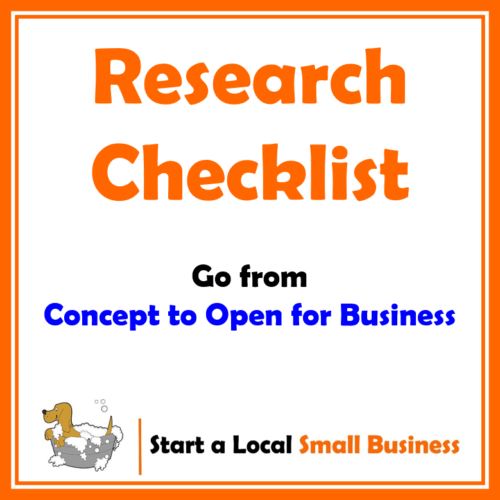 Research: Research is CRITICAL to a successful launch of your business. To help get you going, make sure that you listen to both the research episodes of the podcast: Episodes 6 & 7 both dive in deeper into the actual process. However, to help get you going, here is a cheat sheet that you can use along with a notepad to gather the necessary information to make an informed decision. Success Blueprint: Now that you have done your homework, the time has come to take the research you did and turn it into a success blueprint. 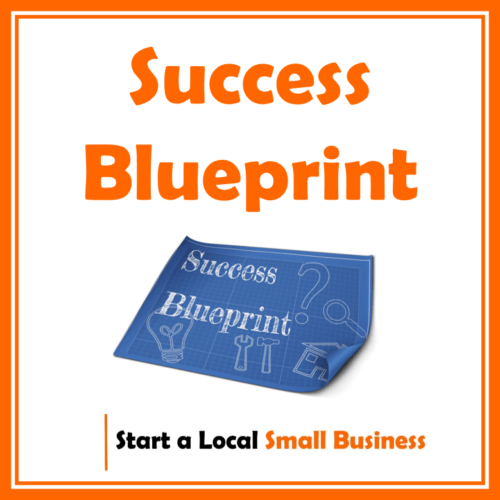 A success blueprint is the gameplan you will use to get your business from concept to open for business. Listen to business plan / success blueprint episode of the podcast where I dive in deeper. . Both websites contain some great information you will need to get your business off the ground. Small Business Association ~ ASB.gov – Every new business owner needs to surf this government website for ideas and tools for their journey. They provide all kinds of useful information and resources for all types of small business owners. You will be amazed at the amount great info you will find. IRS Small Business Section ~ IRS.gov – As much as you will want to keep every penny, you will need to pay taxes and will want to contact a CPA. However, the IRS website will give you some insight into how to set up your business structure so when you speak to your accountant you can keep legally as much of that profit as you can! Links to All State Websites – Click here and go to the IRS page with a link to every state government site for small businesses. Remember, you want to make sure you study and follow all state & local laws. The state websites will provide you information on setting up your company, state tax IDs, and any licences that are needed. Remember…Do your research! Business Insurance – SBA Website ~ You NEED insurance. Depending on the type of business, your needs will vary. Before you start contacting various companies, visit this website by the Small Business Association which will explain the various insurance needs so you are informed when speaking to an agent. These resources will help you get paid. You will need an invoicing system, bookkeeping system and a way to take payments. Get Paid Quicker! FreshBooks is quickly growing popularity with small business owners. I am one of those that are moving over to FreshBooks. A great price and easy to use. With FreshBooks, you can easily invoice clients from your desk or on the go so this helps you get paid quicker. Try the free 30 day trial and see if you agree how easy it is. You will need to be able to accept payment for your services. You will have a few options. But at least set up a PayPal business account and you will have the ability to take credit cards both online or on your mobile device. You can also check your options with your local bank but Paypal is easy to set up and get going. A great tool that can be done either online or on your computer. When I had my small business, I was a big fan of Quickbooks. Easy to key in and easy to create invoices. It might take some practice but you will be glad at tax time you used it! We know of some business owners that have used Square to swipe cards for payments. Check it out and see if it fits your needs. Remember, there are lots of options so do you research of companies. As much as we hate tax time it is a necessary evil. I have used Turbotax for years. Even the most complicated situations will work as Turbotax walks you through the entire process. I’ve had rental properties, several businesses as well as a host of other unique situations. Give it a try if you haven’t set up your CPA yet or stubborn like me. I LOVE my Office 365. I use to buy the full package but love how with Office 365 I always have the latest greatest all for only $5 a month you can have their online program or download like I do and for $99 I have the full program on all 5 of my computers / laptops / ipad. Great for tracking, making flyers, writing copy, all kinds of uses! Another of my favorites! I use the Dropbox upgrade and have all my folders and files on any computer I go to. Works great when working on a traveling laptop and hoping on a desktop. Or pulling up a file on your phone or iPad. It is important that in today's online world that you have a website. Even if it is only a basic website with your name, what you do and how to contact you. (see blog post). Here are some resources to get you up and running. You will want a basic website. How about a FREE one? If you head to WordPress.com you can set up a very basic website for FREE. What a great way to at least get an online presence! You will find that WordPress has an easy system to use with many free Themes to choose from to get you going. My go to for my websites. I have bought many domains from them and now I’m using their hosting on a couple of site. So far all is going great. A great option. Plus you can't beat getting a website name locked up for 99c! You will want a basic website. Don’t miss out being found online! One of our websites are hosted by BlueHost and they have very affordable plans. Plus most packages even come with a free domain name to get you started! Check for Your Business Name Below: Lets get started! For some of you, you will want to have a way to collect email addresses on your website. It is a great way to find folks that might not need your services today but might in the future. What do you do with the emails? Send them maybe a newsletter or “in touch” email once a month with helpful tips? Aweber is a great tool and is easy to set up. Disclosure: Please note that some of the links above are affiliate links, and at no additional cost to you, I do earn a commission if you decide to make a purchase. I have personally used the vast majority of them or have spoken to others that have had a great experience with them. I only recommend them because most folks are looking for a place to start and they are helpful and useful, not because of the small commissions. Please do not purchase any of these products unless you feel you need them or that they will help you achieve your goals. There are a lot of great resources out there.